In order to play with real money at a live online casino (or any online gambling operator for that matter), you will need to fund your casino account first, and this may be done using any one of a number of methods. Of course credit cards are the most commonly offered deposit (and withdrawal) option but a number of others are also available. Most notable are the plethora of ‘virtual wallets’ or online payment processing services that have sprung up over the last decade, lead by PayPal. These services allow users to transact with online merchants without having to provide credit card or banking details. You simply fund your ‘virtual wallet’ account and then use it for all of your online payments. Typically opening an account with one of these services is free, fast and allows for instant payments to be made at accepting merchants once the account is set up. Many casinos offer additional deposit bonuses to player using certain virtual wallet services – it pays to check the ‘banking’ sections of their websites for details. The list of deposit and withdrawal options offered by casinos is long, and seems to grow by the day, but set out below are the better known and more commonly offered options, and where you can use them. Note: Most virtual wallet services are not available for US residents for gambling deposits. One exception to this is UseMyWallet. Every casino accepts Visa and Mastercard so take you pick from any listed on this site…although US residents may have difficulties using their credit cards while UIGEA (Unlawful Internet Gambling Enforcement Act) is still in place. Even rarer than Diners, Amex is accepted by only a handful of online casinos – again likely due to high merchant service fees that the casinos must pay. PayPal is arguably the best known of all the virtual wallet services, founded in 2000 and acquired by eBay in 2002 for $1.5 billion, it has become the online payment method of choice for millions of online purchasers worldwide. According to Wikipedia, in 2008 PayPal processed around $60 billion worth of online transactions. They beat a hasty retreat from the online gambling market in 2006 following the passing of UIGEA, but are now returning, and the list of casinos offering PayPal is slowly growing. PayPal allows registered account holders to pay participating merchants as well as send money to other user’s email address. PayPal is currently not available to US residents for gambling transactions. Another one of the longer established and better known virtual wallet services, UK based NeTeller profited handsomely by filling (in part at least) the void left by PayPal’s exit from the online gambling industry in 2006. Almost all online casinos currently offer NeTeller for both player deposits and withdrawals, and many will provide additional deposit bonuses to players choosing this method. NeTeller is currently not available to US residents for gambling transactions. All casinos listed on this site offer NeTeller so take your pick. the pick of the online payment processors. Entropay is currently not available to US residents for gambling transactions. Click2pay is another e-wallet enabling instant merchant/casino payment from a securely funded account. Click2Pay is currently not available to US residents for gambling transactions. UseMyBank were a Toronto based online payment service that a number of casinos adopted. As with the above services it enabled you to transact securely with participating merchants without the need to disclose credit card or banking details to those merchants. UseMyBank is no longer available. Smart Vouchers Ltd launched Ukash in 2001. As with other e-wallets, it enabled users to pay participating merchants securely and instantly. Ukash was also be used to ‘load’ other e-wallet services which effectively meant you could fund certain e-wallets (eg NeTeller) with your Ukash account. Why you’d want to do this I’m not exactly sure…but it was an option. Ukash was acquired by Paysafecard (see below) a while ago. ClickandBuy is owned and operated by German company FirstGate Internet AG. Over 14,000 online merchants currently accept ClickandBuy, including a number of online casinos. ClickandBuy is currently not available to US residents for gambling transactions. Skrill (formerly known as Moneybookers) enables registered account holders to both pay participating merchants from a single, funded, secure account and also send money to individual’s email addresses. Funding your Skrill account is fast and free. Once you have a funded Skrill account, payments into and withdrawals from your casino playing account are instant and free. Withdrawals from your Skrill account to linked bank accounts are very cheap (EUR 5.50 irrespective of withdrawal amount, as at May 2018) and reasonably fast, with funds typically reaching your bank account within 2 business days. My Citadel Wallet enables users to pay online merchants and send money to individual’s email addresses, as can be done with PayPal. Customer fees vary from country to country but are largely free for bank transfer deposits to fund your account and merchant payments. Currently not available to US residents for gambling transactions. ECO Payz (formerly ECO Card) is an e-wallet service owned by Luxembourg based Com Tec Co Group. As with most other e-wallets, it allows users to pay member merchants from a single secure account that is funded by credit card or bank transfer. While funding your account and payments are fee free, withdrawals may incur a charge depending on method requested. Instadebit is a totally fee free virtual wallet allowing users to pay all member merchants from a single secure account. Unfortunately it is only available to Canadian residents and able to be funded from Canadian bank accounts. One of the few virtual wallet services available to US residents for funding online casino accounts, UseMyWallet has become one of the payment methods of choice for US player facing casinos. The service is much the same as other e-wallets – you fund your UseMyWallet account and then use this secure account to deposit into member casinos. One slight difference is that in order to open an account you will need to be ‘invited’ by a merchant. 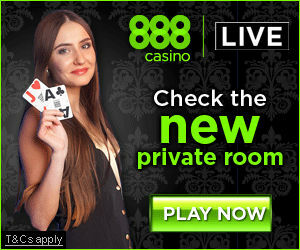 This is no problem as any member casino will provide the required invitation. Being one of the few e-wallets accepting US resident gambling related transactions, UseMyWallet has not surprisingly enjoyed exponential growth in user numbers and turnover. available to all players for gambling transactions regardless of country of residence. eWalletXpress was a popular online payment service for American and Canadian players, but ceased operating a few years back and is no longer available. Webmoney is a Latvian based online payment processor offering accounts in Russian Federation currencies. Good old fashioned bank wire transfers are accepted by most casinos and all listed on this site. The casino will provide all details required for the wire in terms of their banking details. Fees for the transfer (from your bank not the casino) will vary significantly according to your bank and whether the wire is cross border or not…you will need to confirm exact fees with you bank. Paysafecard is an online debit card that is effectively like all other virtual wallet services. That is, you fund your Paysafecard account and then use it to purchase online, including at accepting online casinos. It is a Euro centric service, based in Vienna Austria and catering to Euro currencies and predominantly European based online merchants. iDeal are a Netherlands based online payments processor that offer a slightly different payment mechanism to most virtual wallets. It establishes a secure connection between your bank and the online merchant at the time of payment/deposit helping to facilitate the payment, provided your bank is an iDeal participating bank. Bitcoin is the new kid on the block. A decentralized digital currency operated on a peer-to-peer network (ie including your computer if you wish to acquire Bitcoins). There’s a bit more to this method than the above virtual wallets. You can learn more about Bitcoin casino gambling here. In January 2014 Vera & John became the first (and only) licensed & regulated live dealer casino to accept Bitcoin deposits. However, in April 2014 they suspended their Bitcoin payment facility following discussions with the Malta Lotteries and Gaming Authority. The suspension is intended to be temporary, with Bitcoin deposits to be re-instated once a regulatory framework around this method has been established. In late 2016 the UK Gambling Commission changed their stance on Bitcoin, endorsing digital currencies generally in their description of payment services. We may see more UK licensed casinos offering Bitcoin deposits in future.